Isn't that Devotion requires Grand Cross and Grand Cross requires Level 10 Faith? Yes, skill simulator is wrong skill tree with Sacrifice. It's difference with skill description. It is assumed you need to read the requirement for Devotion to see what is needed before that. Same for Grand Cross. 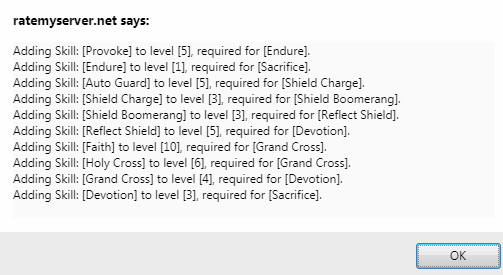 Because if you have Devotion Level 3 you must have everything required before that so there is no need to list the whole chain. Also I should mention due to kRO skill names are used first, in this context Sacrifice's iRO name is Martyr's Reckoning. Devotion's iRO name is Sacrifice.